It was just a few years ago when I was first introduced to Dan Grec. As the overland cosmos is prone to do, our paths crossed over something as simple as the sale of a DSLR camera. At the time, he was living in Whitehorse in the Yukon, not far from where I lived in Alaska years ago. My interest piqued, I set out to learn more about this interesting guy. The quintessential polymath, Dan has channeled his eclectic talents into a life of travel and all that it entails. 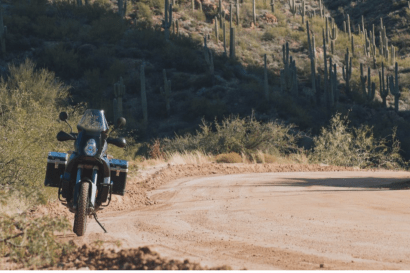 The creator of Wiki Overland, the author of Work Less to Live Your Dreams, and the mind spring behind theroadchoseme.com, his willingness to share in his exploits is what sets him apart. Earlier in the year, Dan stopped by the Overland International offices for a short spell to finish the preparations on his latest travel platform and to share a campfire in the woods with our staff. 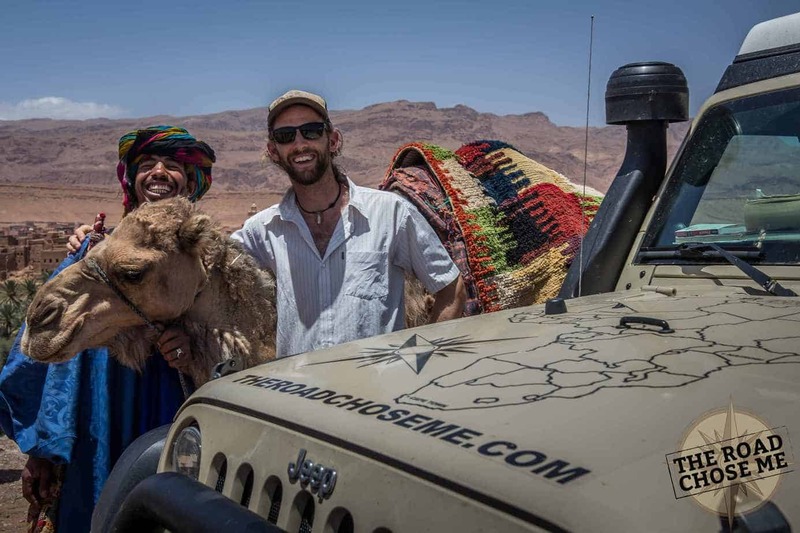 His infectious enthusiasm for exploration and adventure made him a quick friend. We wish him well on his latest journey, which is in progress now. In a brief moment of reliable WiFi, I was able to exchange a few emails with Dan to pester him for a few Adventure Interview questions. Many people will likely recognize you and the name of your travel project from your previous adventure in South America. 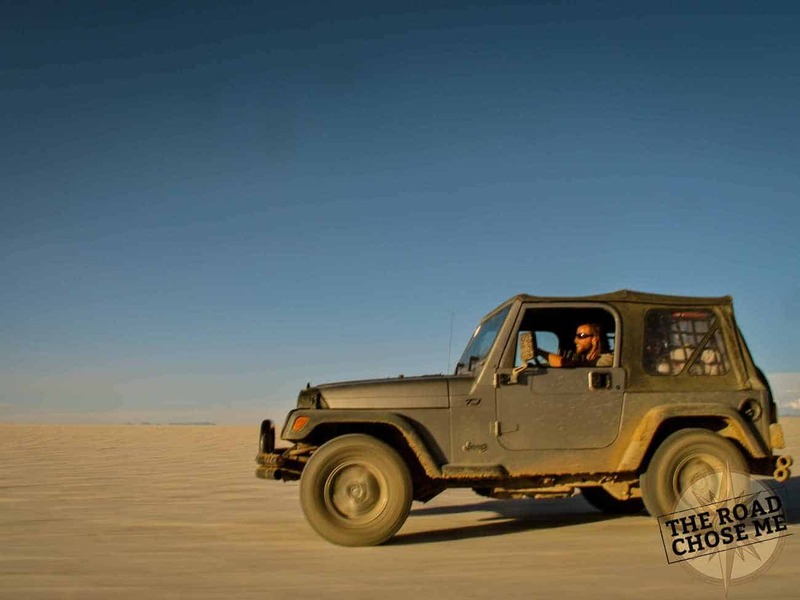 Was that your first big trip and what sparked that journey? It was my first big international trip, yes. Before that I had done some big trips in Australia, the US and Canada, but nothing close to the scale of Alaska to Argentina. I had been working full time at a desk for a couple of years, and I refused to believe sitting at a desk for the next 30 years to pay off a mortgage was my future. I wanted more from life. I had dreamed of Alaska for years, so a trip up there for a summer seemed like a great idea. A friend suggested I checkout Mexico, and when I bought a map the rest of Central America was attached, piquing my interest. After that it kind of got out of hand! 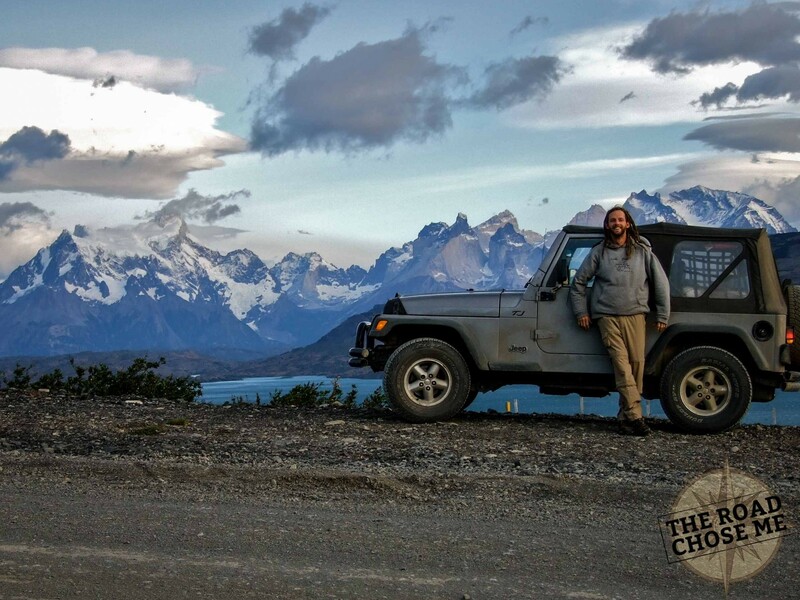 You tackled that drive to Ushuaia in a relatively unmodified Jeep Wrangler. Was there any reason in particular that drove that choice of vehicle? It obviously worked for you as you’re now traveling in another Jeep? When I first came to North America I needed a vehicle to get me around in all weather, including the Canadian Rockies through multiple winters. I bought a well-loved 1996 XJ Cherokee for $1600 and absolutely loved it. No matter what, it took me where I wanted to go with no fuss and never let me down. After I put on 30,000 miles, the list of needed repairs was longer than my arm, so it made sense to replace it. Like every teenage boy I had always dreamed of a Jeep Wrangler with no roof and no doors, so that’s what I bought! With not a single breakdown in 40,000 miles from Alaska to Argentina, it turned out to be the perfect vehicle for the trip. With that record, another Jeep Wrangler was an easy choice. 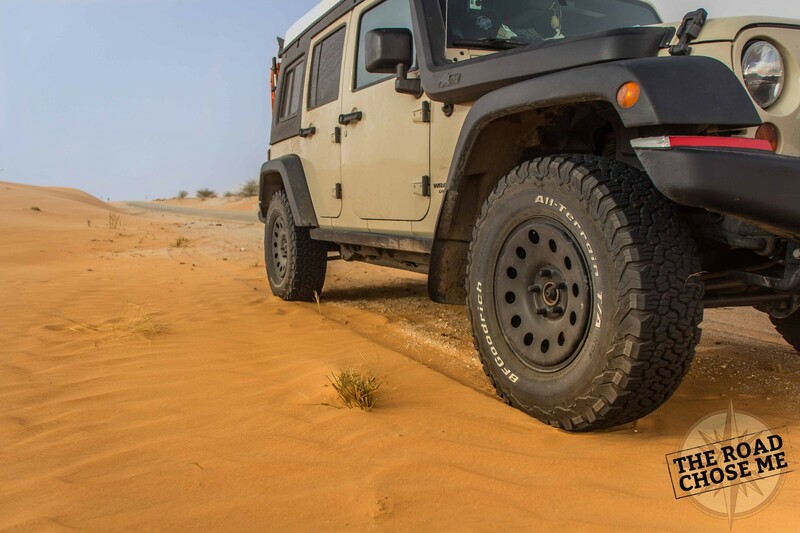 As stock as the first Wrangler was, your current platform is anything but. Can you give us a quick walkthrough of your new rig and why you chose to build it as you did? On my last trip I had a ground tent, sleeping bag, a bag of clothes and a small camp stove. The lack of “stuff” was very liberating and made my trip very carefree and easy going. I absolutely love camping, even on the ground, though as the months turned into years, I got a bit sick of setting up a tent in the mud and cooking in the rain and bugs every single day of my life. After all, a two year trip is not a vacation. It is my life. More than anything else, I dreamed of a vehicle that incorporated better sleeping and better cooking. 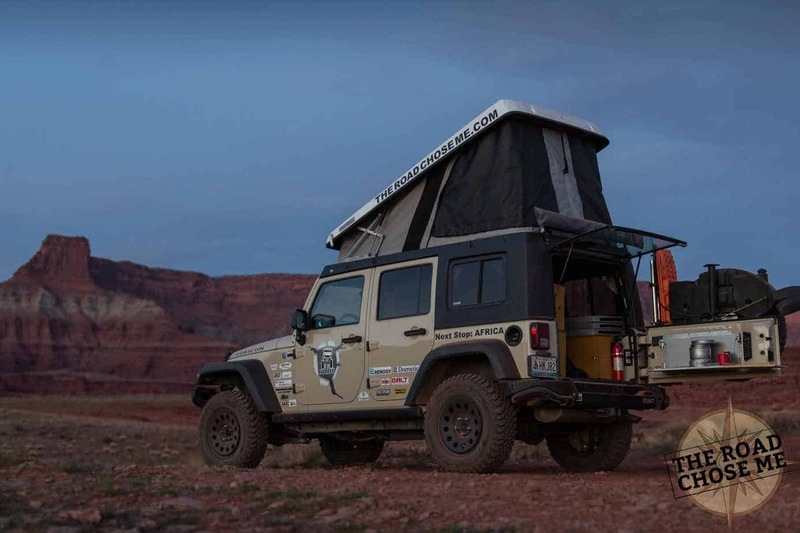 All long-term Overlanders will tell you priority number one for a vehicle is interior living space – a place to go to escape the bugs, the wind, the rain, and even sometimes the whole world. A dry and clean space, no matter how small, does wonders for sanity during an extended trip. 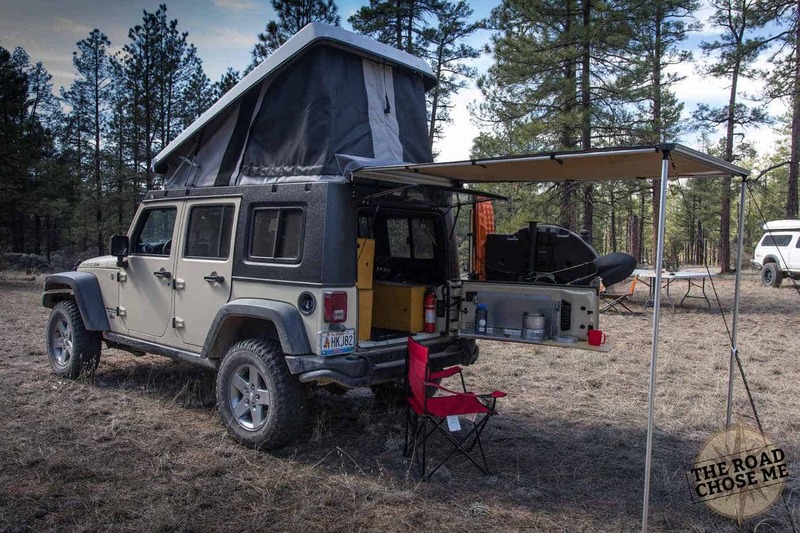 The minute I laid eyes on the 4-ddor JK Unlimited Wrangler I knew it was a fantastic start, and the addition and modification of a pop-top roof made it absolutely perfect for my needs. * and self-made interior storage cabinets. The icing on the cake is a J30 pop-up roof from Ursa Minor, which completely transformed the Jeep from a 4×4 vehicle into a house on wheels. I’ve seen your new truck up close. It seems palatial for a solo traveler. I also know you have scads of friends, but you choose to travel solo. Any particular reason? When I designed and built this Jeep the intention was for my girlfriend and I to take the trip together. We fell out, putting the whole trip up in the air. As with my first trip, my decision was to either go alone, or not go at all. For me, that’s an easy choice. That being said, I aim to have family and friends fly in as often as possible to join me for a stint – maybe a week or two, maybe a month or two. I’m hoping people can cross at least one border with me, because border crossings are such a big part of this kind of adventure, and I genuinely think they are a must experience. I travel solo frequently and feel I’m never alone when I’m traveling by myself. Don’t you agree? Yes and no. When I want to I can certainly find myself surrounded by friendly people who are curious about me and my trip. Often, however, I find that in my quest to save money I drive into the middle of nowhere where I cook and camp alone. It’s a balance I struggle with daily. 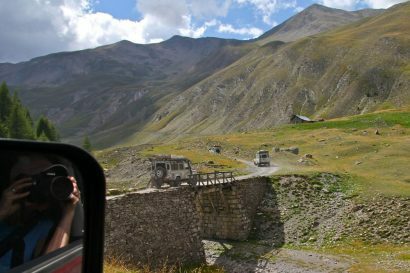 After your last trip you started on online resource for Overlanders – http://WikiOverland.org What caused you to start that? Are you still working on it? Before I set out on my first big trip I read books like Ted Simon’s ‘Jupiter’s Travels’ and ‘Long Way Round’ and thought to myself “I wish I could do that.” Once my trip was underway I realized I was gaining the knowledge and experience needed to pull of these kinds of trips, and I wanted to get it into the hands of as many people as possible, hoping they would use the information to plan and undertake their own trip. 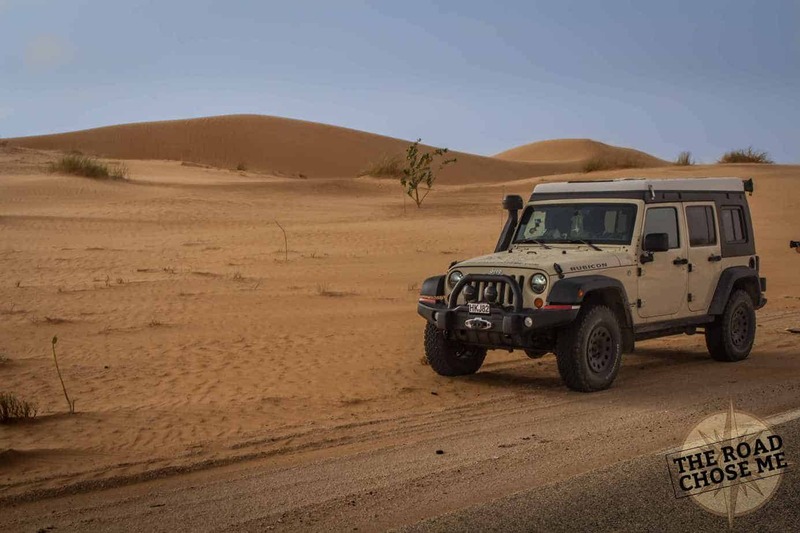 WikiOverland is the community Encyclopedia of Overland Travel – it contains details on all the logistical information people need to make these kinds of journeys – paperwork, border crossings, prices, camping, gas prices, etc. 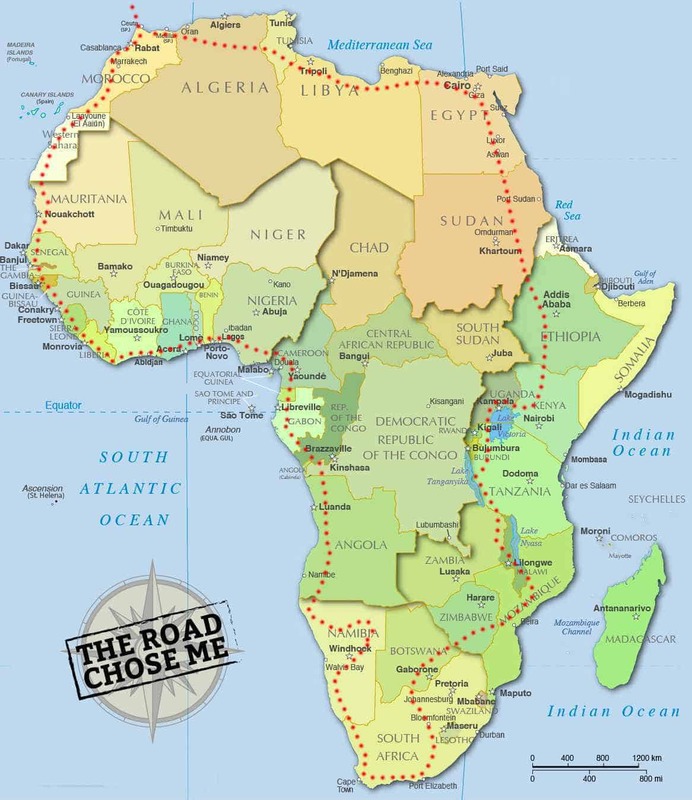 I am continuing to build on the existing information, adding every country that I pass through in Africa. 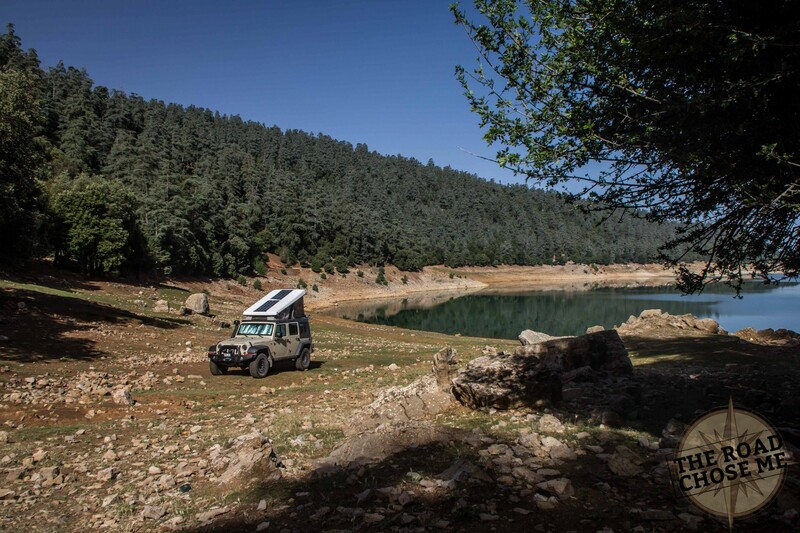 You recently started your next big overland journey by shipping your Jeep to Europe. How did that go? So-so. On the Canadian side everything was straight forward and painless. I also secured a really good price for the loading and shipping – cheaper than I have seen before. I assumed shipping into a first world country (Belgium) would avoid the often scummy behavior of shipping agents and I would be dealing with people on the up and up. 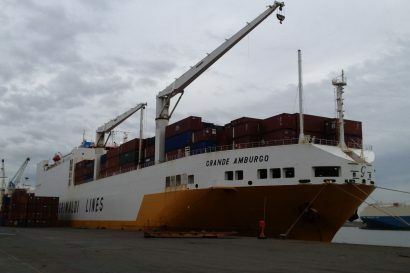 Quotes continually changed, I was told conflicting information and wound up paying more to simply get the Jeep out of the container than I had paid for the entire Atlantic Crossing! After lots of yelling and demands, I was even refused a receipt for my money! Other than paying money through the nose, the process was extremely painless and simple, without a single hassle. That was nice. It appears you made quick work of getting to North Africa. Is this your first visit to the continent? How have you liked it so far? This is my first time in Africa, and I am absolutely loving it so far. 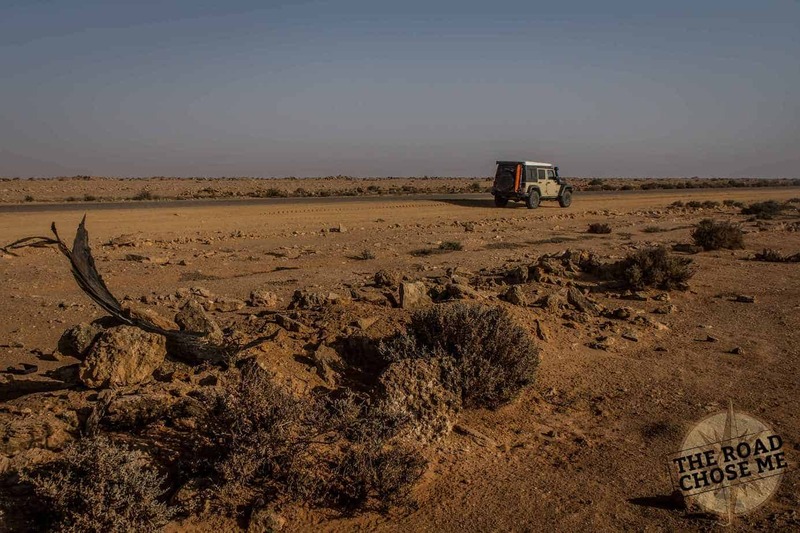 The people in Morocco have been extremely friendly, the terrain has everything an Overlander could dream of, and it’s a fairly cheap place to travel. The Atlas mountains, Sahara Desert and ancient city markets have all far exceed my high expectations. It’s already one of my all-time favorite countries to explore Overland. I can not wait to see what comes next on the West Coast! What are the plans for the rest of your trip and how long will you be on the road? I will spend roughly one year driving South from Morocco to South Africa, hugging the West Coast of the continent. I will cover approximately 40,000 miles and visit around 20 countries. After a re-group and re-supply in the South, I plan to drive North to Cairo in Egypt, again covering roughly 40,000 miles over the course of a year, and I will visit around 10 countries. It’s a very ambitious plan, and I’m already loving the challenge I have set for myself. I’m not sure why exactly, but I seem to enjoy setting the bar high for myself. I have to ask the one question most overlanders at home always want asked? Did you win the lottery, cash in a trust fund, hit the jackpot in Vegas, or win the affection of a dozen cash-flush sponsors? Or, did you fund this trip the old fashioned way? Haha, you’re right, that is by far the most common question I am asked about my trips. My answer is not exciting or dramatic, but it’s the best answer because everyone can do what I did to finance their own trip. To put it simply: I focused on my dream, and I made saving money a priority. I cancelled my cell phone, cable TV and home internet. I stopped eating out, rode my bike and took my lunch to work. The savings from those and a bunch more ideas I put aside in a separate savings account which slowly grew over the years until I had enough to make my dream come true. For me, saving up my money to do something big like this is worth much more than having a new cell phone every year. And my other fun but predictable questions: You’ve clearly traveled enough to have been to many beautiful places. Is there one place in particular you could one day call home? Any place you would never return to again under any circumstances? I’m from Australia originally, and when I left over 10 years ago I said I would keep traveling until I found somewhere better to live. If I did not find such a place, I would go back to Australia. I recently spent fours years living in Whitehorse in The Yukon, Canada, and it’s dawning on me that I miss it more than I miss Australia, which I think is giving me my answer! Maybe I’m lucky, or maybe it’s my glass-half-full approach – I have never been anywhere I would not return to. In fact, often when I leave a place with things still on my “must see” list, I find myself saying “well, I’ll just have to come back”. To add to your question – I have been to one country that, in my experience, is unlike anywhere else on earth. The more I travel, the more I find similarities in landscapes. The Atlas Mountains in Morocco were surprisingly similar to the Pacific North West or the Canadian Rockies. Alpine lakes and mountain hikes in Patagonia remind me strongly of Alaska, and the Sahara Desert was like a (massively) scaled up version of small dunes near my home town in Australia. In all my travels, I have never experienced natural beauty like I did in Bolivia. 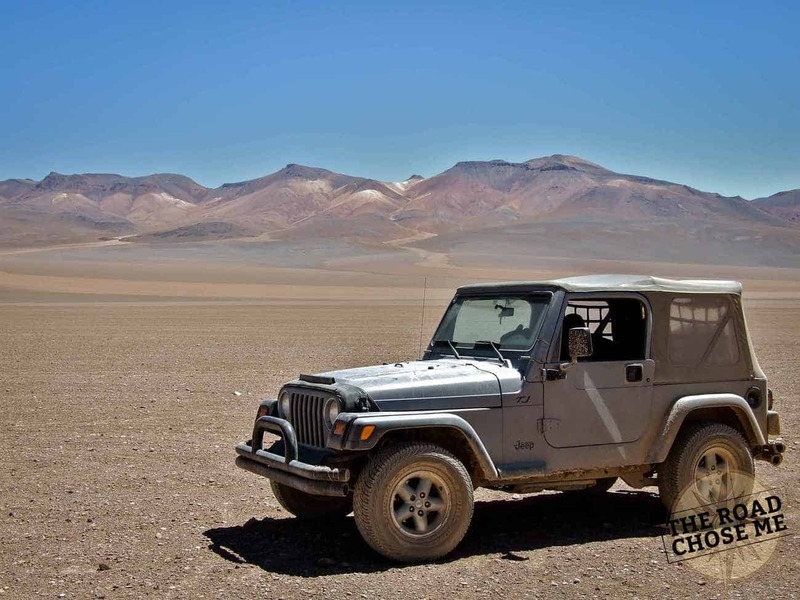 The Altiplano, the high mountains, the Uyuni Salt Flats. They are so supremely unique I have nothing to compare them to. Bolivia is spectacular. One last question: Where are you today, and where will you be next week? I’ve just driven the length of The Western Sahara and crossed into Mauritania. My current plans have me crossing into Senegal as early as next week.To do so, I must cross what is commonly called “The Worst Border in Africa.” which sounds impressive, if not a little intimidating. 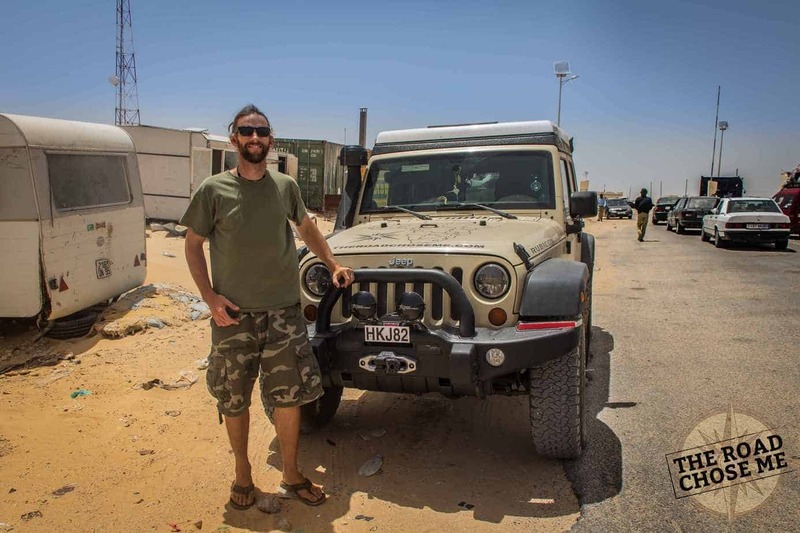 From all of us at Overland International, we would like to extend Dan our sincere best wishes for safe and exciting travels. We’re happy to call you a friend and can’t wait to hear more from the road, the road that chose you.